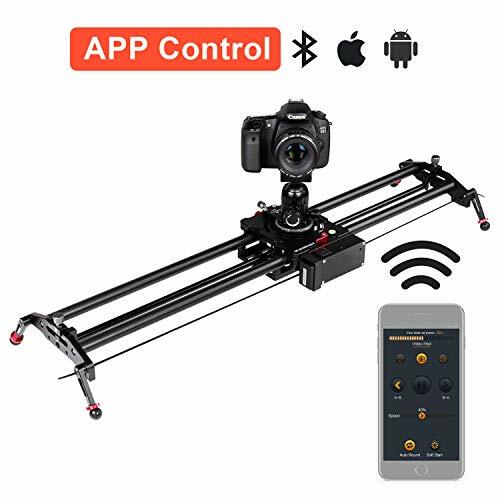 Capture All of Your Perfect Moments the Instant They Happen! If you love traveling and taking pictures of your little adventures, then this bundle is tailor-made for you. 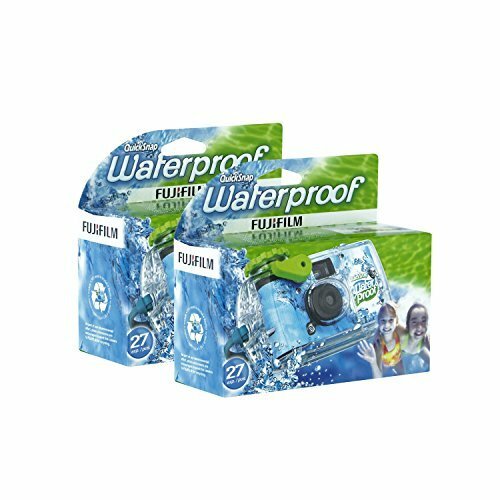 This kit has the perfect essentials that you need to start taking flawless, instant photos right out of the box. This bundle is the perfect gift for your kids, nieces, nephews or grandchildren! The camera is easy to use and the ideal way to introduce your little one into the wonderful world of photography. Let them take it on your next family trip and start taking photos that the entire family can reminisce over for a lifetime. You’ll be able to write a little note on the back of the images just like the old days! 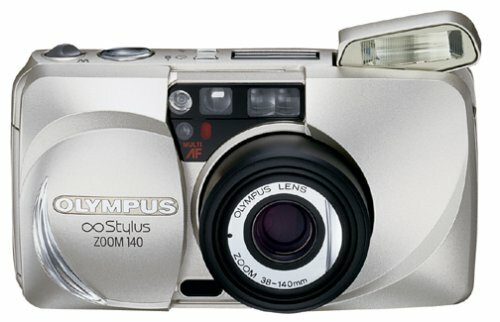 Instant Gratification to Individuals That Want a Classic Camera but with Modern Upgrades! With the rise of social media, people are used to seeing tons of images on demand. They can’t fathom waiting for images to develop. 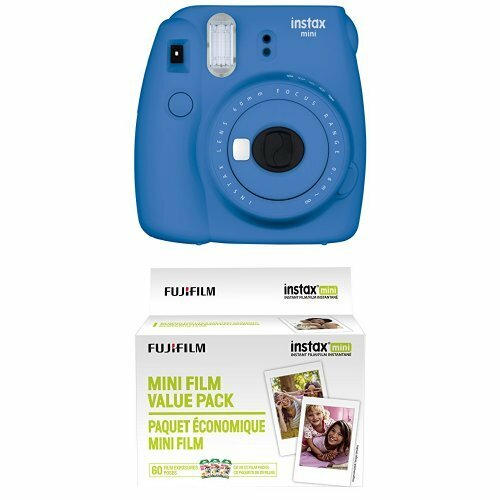 As soon as you shoot your photo, the Instax Mini 9 camera will it print out! You’ll be able to show it off to friends and family or hang it up in a flash! All of our products are backed by our 100% Customer Satisfaction Money Back Guarantee! or send a replacement right to your doorstep. No questions asked, no fine print! Ready to Enjoy Instant Printed Memories? 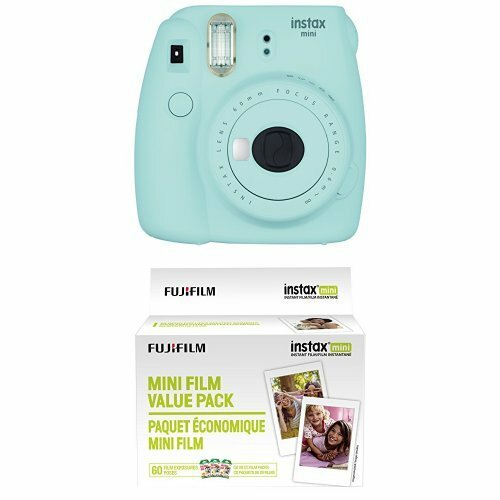 Click the “Add to Cart” button now and get this premium Instax Camera bundle, today! 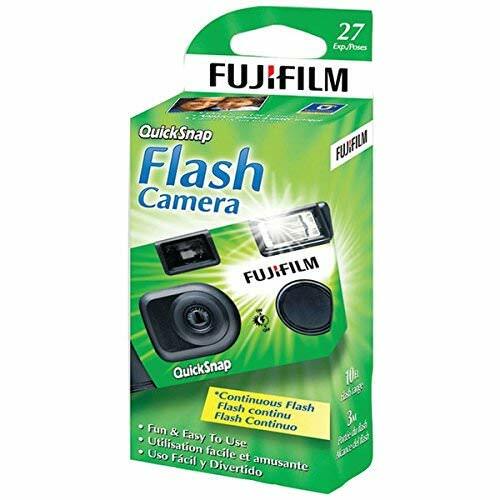  PORTABLE CAMERA PRODUCES FLAWLESS PICS – This little polaroid camera features a Fujinon 60mm f/12.7 Lens, Optical Viewfinder, Built-In Flash, Auto Exposure Mode and other features to help you produce gorgeous photo shots with instant prints.  *BONUS* BUNDLE WITH 20 SHEETS OF INSTANT FILM + MORE ACCESSORIES – We loaded you up with the necessary accessories for your mini camera. Also includes; Cleaning cloth for lens and screen + Set of 2 AA batteries + Wrist strap + Close-up selfie lens. 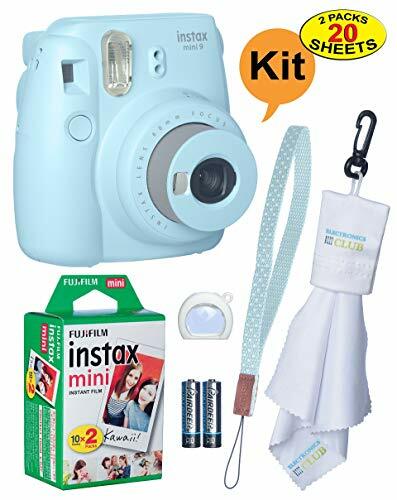  KEEP YOUR CAMERA LENS CRISP & CLEAR WITH THE HANDY CLEANING CLOTH WITH CLIP – Also included in this accessories kit for the Instax Mini is a lens cleaning cloth with a convenient clip. The microfiber cloth will keep your lens free from smudges, dirt and dust so you can take crystal clear pictures every time.  FANTASTIC GIFT IDEA FOR INSTAFILM FANS – Have a friend or family member that loves taking photos, but hates waiting for the film to develop or buying super expensive photo printing paper? This camera bundle will provide instant gratification with a fresh print in your hand!  CUSTOMER SATISFACTION GUARANTEED – We’re so confident that you’ll absolutely love this retro instant camera kit that we back it with a no-hassle Money Back Guarantee. If for any reason you are not 100% satisfied, we will refund or replace your item. No questions asked!